The 2017-18 All-NBA teams have been announced, and the Golden State Warriors have two representatives. Kevin Durant made the All-NBA First Team, while Stephen Curry made the All-NBA Third Team. The rosters were voted on by a global panel of 100 sportswriters and broadcasters. LeBron James and James Harden were unanimous choices for the All-NBA First Team. The other selections for the First Team besides James, Harden, and Durant were Anthony Davis and Damian Lillard. First Team votes were worth 5 points, Second Team votes were worth 3 points, and Third Team votes were worth 1 point. 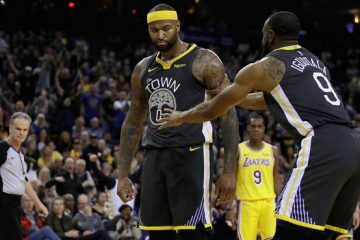 Voters were instructed to select two guards, two forwards, and a center for each of the All-NBA teams, and players who received votes at multiple positions were placed at the position they received the majority of their votes. 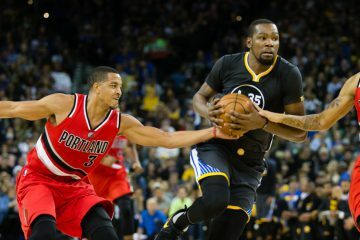 Durant received 63 First Team votes and 37 Second Team votes for a total of 426 points. Every voter had him at least on their Second Team. Curry received 2 First Team votes, 39 Second Team votes, and 37 Third Team votes for a total of 164 points in the voting process. Curry just narrowly missed out on being named to the Second Team. DeMar DeRozan received just 1 more point than Curry to secure the second guard spot on the Second Team. The other players who were selected to the Second Team were Giannis Antetokounmpo, Russell Westbrook, Joel Embiid, and LaMarcus Aldridge. DeRozan and Curry had the exact same number of First Team and Second Team votes, but DeRozan had 1 more Third Team vote that ultimately made the difference. The other players besides Curry named to the Third Team were Victor Oladipo, Karl-Anthony Towns, Jimmy Butler, and Paul George. The DeRozan/Curry battle was really the only spot that ended up being closely contested amongst the All-NBA Teams, and no player that received votes but was left off the three squads came close to making it. Chris Paul received 54 points, the most out of any player who failed to make a roster. That was the same total George received to make the Third Team, but Paul was far behind Oladipo at the second guard spot on the Third Team. Oladipo received 105 total points. Curry was the only player on the Third Team that received multiple First Team votes. The only other Third Team member who got a single First Team vote was Butler. Every player who made the First Team ended up on at least the Third Team on every ballot that was cast. Antetokounmpo and Westbrook were also included on at least the Third Team on every ballot, and they both ultimately made the Second Team. 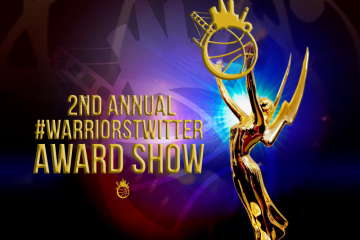 The Warriors also had two players who didn’t make any of the rosters but received votes. Draymond Green received 6 points and Klay Thompson received 2 points. It’s an honor just to receive any votes, and both Green and Thompson can take pride in the fact that they’re even in this discussion. Durant deserved his inclusion on the First Team. He was 6th in the league in Player Efficiency Rating, 8th in Value Added, 8th in Estimated Wins Added, 9th in Win Shares, 11th in Box Plus/Minus, and 12th in Value Over Replacement Player. Curry’s time missed due to injury certainly worked against him, but there’s a strong case to be made that he should have made the Second Team over DeRozan. Compared to DeRozan, Curry had a much higher Box Plus/Minus, a much higher Value Over Replacement Player, and a much higher Player Efficiency Rating. DeRozan had slightly more Win Shares, Value Added, and Estimated Wins Added than Curry, though. 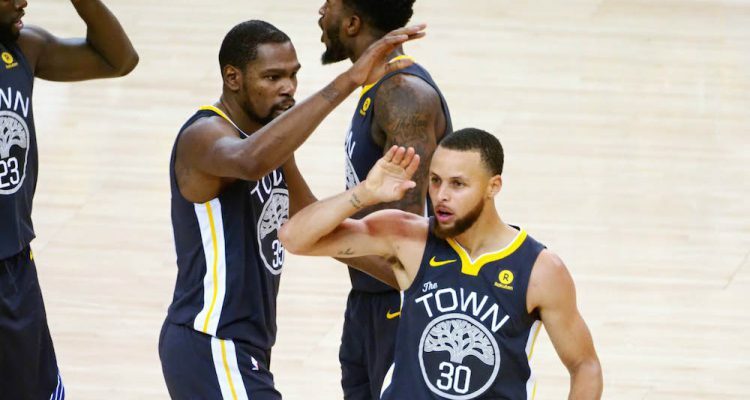 The metrics say it’s a snub, but perhaps voters were not as enthusiastic to reward Curry due to the fact he only played in 51 games this season. It’s remarkable that the Warriors have so many players who are perennially included in the debates that revolve around selecting these teams. 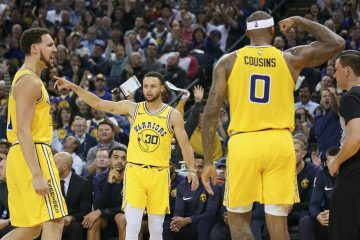 The Warriors have a huge upcoming game 5 against the Houston Rockets, and the announcement of these rosters should bolster their confidence in the lineup they possess. Congratulations to both Durant and Curry for making such a distinguished list. They’re two of the elite players in this league.